If you’ve been in China for a while, Taipei is an intriguing place, both Chinese and… not. I have been told that mainlanders often criticize the Taiwanese for not being “properly Chinese,” and more specifically for being – whisper it – too Japanese. Certainly, Taipei reminded me more, if not of Osaka, then perhaps of Busan, or at least Hong Kong. This is partly a matter of fashion; boutiques boast of having the latest designs from Japan and Korea. It is also, to be blunt, a question of manners. People are noticeably more thoughtful and aware of others, with less of the me-first-out-of-the-way jostling which is sadly so common in mainland cities. There were mainlanders aplenty, and more than a little jostling, at the National Palace Museum, Taipei’s must-see visitor attraction. 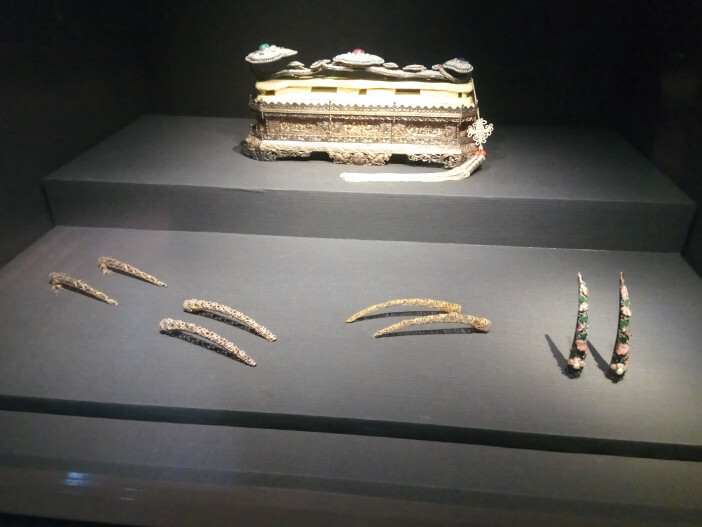 At the end of the Civil War, the fleeing Nationalists took with them nearly 4,000 crates of historical and cultural relics, so with no disrespect to Beijing’s National Museum, if you want to see the greatest of China’s treasures, you need to go to Taipei. 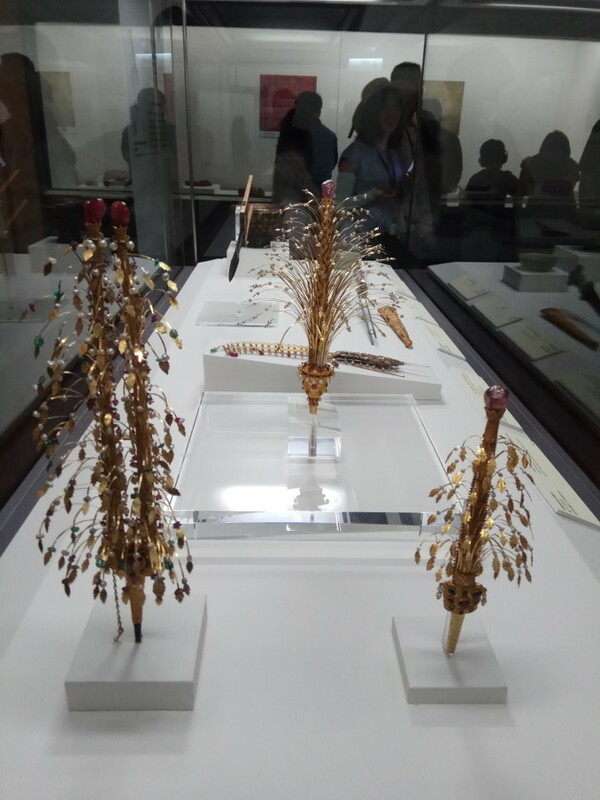 The hoard is so vast that only a fraction of it can be seen at any one time, with the Museum’s exhibitions regularly rotating. 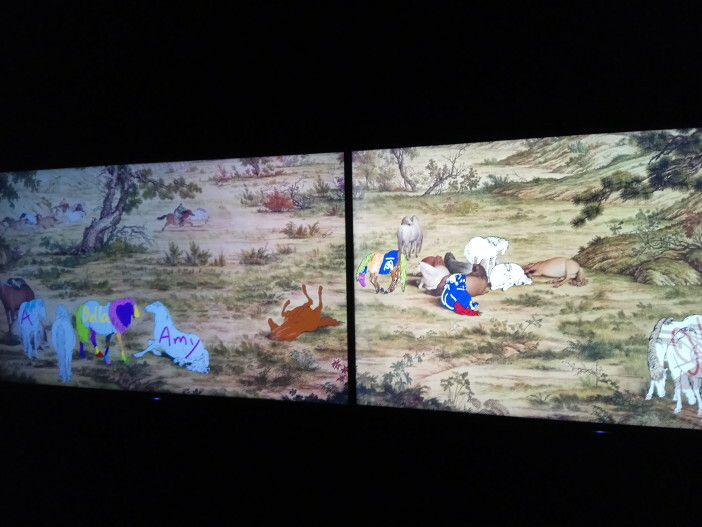 Even so, the breadth and richness of what’s on display is staggering. Among the ceramics, there are not only exquisite porcelains from Jingdezhen and Longquan but 5,000-year-old stone age vessels, which incredibly are in better condition than much of the crockery we bought when we arrived in Beijing in 2015. Among the paintings, even the “fakes” are old and beautiful; when we visited, one room was dedicated to 18th-century copies of Ming and Tang old masters. Elsewhere, there are fabulous gold jewelry, intricately carved ivory miniatures, Tibetan bowls made as gifts for emperors… it’s enough to make your head spin. I was more fascinated by bronzes from the age of Confucius, on which we can still read who had them made, when, and why. 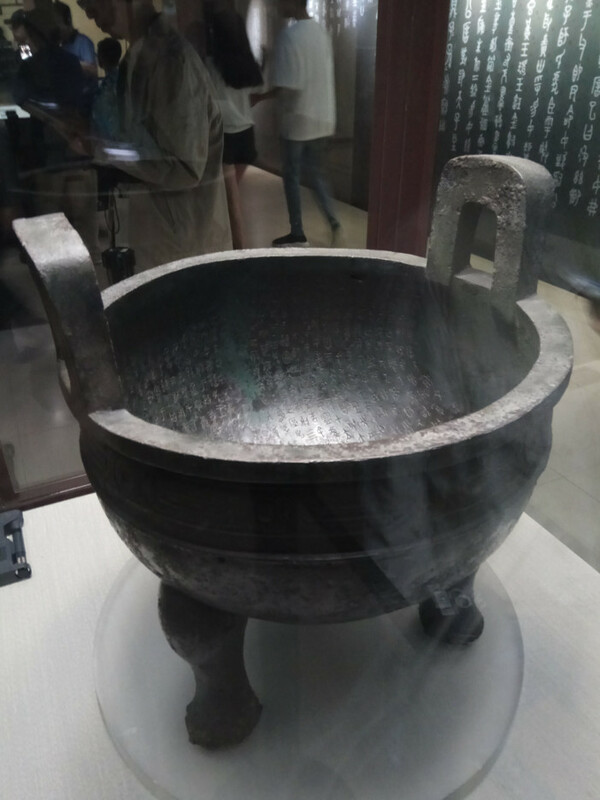 One treasure on permanent display is the Mao Gong Ding, a vessel from the Zhou era with a 491-character inscription, the longest of any known ancient bronze. Another is the famous Jade Cabbage, but it was so surrounded by sharp-elbowed selfie-snappers that we gave up trying to see it. 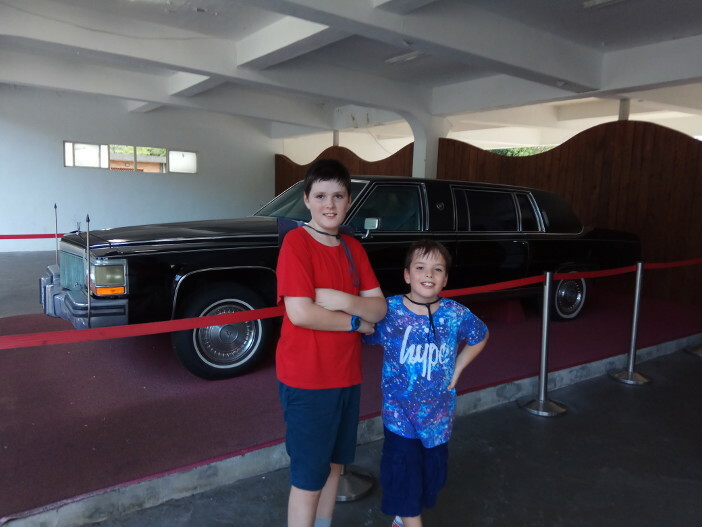 In fact, after lunch, the tour parties arrived with a vengeance, and since we were tired and hungry and in no mood to be shoved around, we left without even seeing the jade galleries. 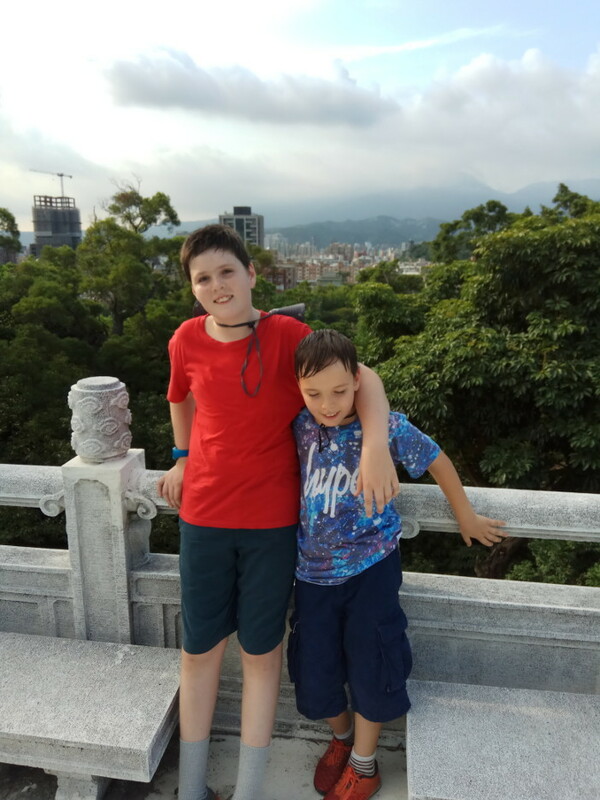 The nearest Metro stop to the National Palace Museum is Shilin, but it’s still a fair distance from there, too far for kids to walk. We eventually tracked down the stop for the shuttle bus but got fed up of waiting and took a taxi. 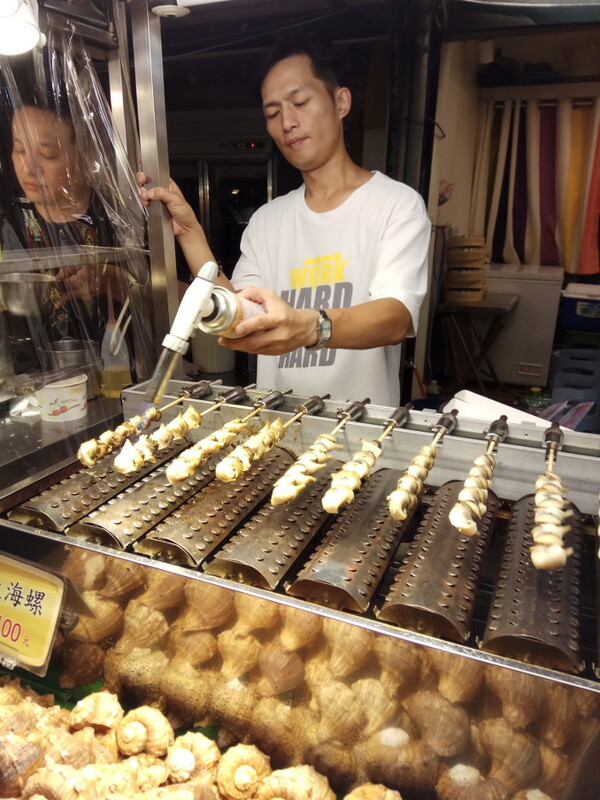 The Shilin Night Market, on the other hand, was directly below our accommodation, so that when we stepped through the door we were immediately assailed by crowds, the cries of vendors, and the smell of hot oil. It’s all good, gimcrack fun: carnival games, sizzling street food, and stalls full of brightly-colored objects with no discernible function which manage to be at the same time both cheap and overpriced. Taipei has much to offer the visitor, but after a couple of days, we were off again, to the south of the island, and the city of Taitung.